The perfect location to play all day. There’s no debate to the convenience and recreation surrounding this home. Adventure and entertain yourself all year long and live in a home that has space to grow. This 4 bedroom 2.5 bath POOL home with SPA is located within minutes to nearly every amenity you can imagine. Walking and biking trails that lead to the parks filled with playgrounds, basketball courts, soccer, baseball fields, and more. Starbucks, shops, and dining are all a stones throw away. Excellent schools within walking distance. YMCA, UTC, Interstate make this location the best of the best. Take the family to Main street for dinner and community events. Recharge your batteries from all your outdoor adventures and soak in your private swimming pool. 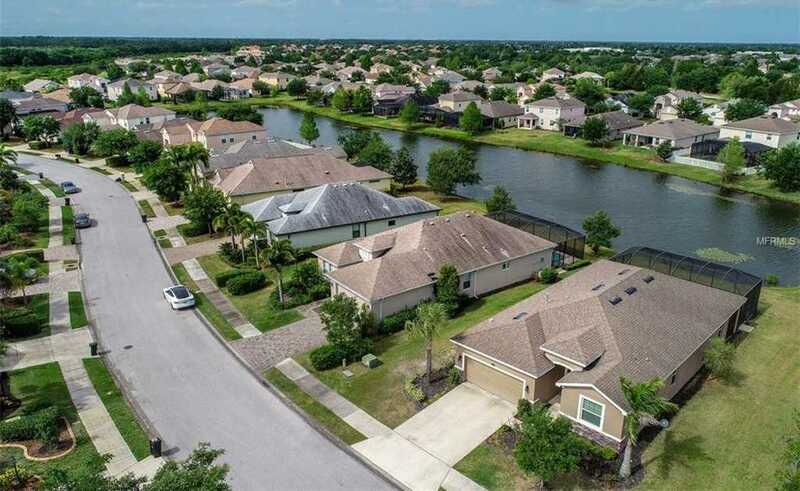 This homes has a relaxing floor plan that centers around a large lanai and gorgeous water view. Tri-split plan with master wing, guest wing and other bedrooms well separated. A foyer welcomes you in and leads you to the great room with bar seating counter, kitchen & dining combo. Gas stove, laundry room, tile in main areas, wood floor master, dual walk in closets, stainless steel appliances, and more. Schedule your private showing today and discover the peace and plenty this home offers. Please, send me more information on this property: MLS# A4432768 – $349,900 – 15687 Lemon Fish Dr, Lakewood Ranch, FL 34202. I would like to schedule a showing appointment for this property: MLS# A4432768 – $349,900 – 15687 Lemon Fish Dr, Lakewood Ranch, FL 34202.